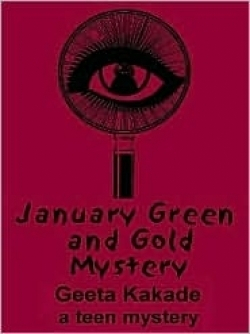 Kakade launches her young adult mystery series with the traditional “let’s get to know everyone” plot. Almost fourteen year-old Bethany can’t believe her mother has hired a babysitter for her in the guise of a math tutor. Okay, she stinks at math, but she’s too old to have someone come to the house, especially Mrs. Naidu, the Indian woman who dresses funny and was a math professor in India. What if her friends at school find out? She’ll never be considered cool. Just when Bethany begins to realize Mrs. Naidu has hidden depths and shares her love for mysteries, her best friend Cody opens his big mouth and blabs to the most popular girl in class, Lexi, that Bethany’s tutor visited the maharajah in India, hunted tigers and solved mysteries. When confronted by Lexi, Bethany confirms his tale and invites Lexi and Cody to meet Mrs. Naidu. They’re impressed by her exotic appearance in her traditional sari, and when she casually mentions the “club” she and Bethany have formed, Lexi and Cody are wild to join. Mrs. Naidu leaves that decision to Bethany who revels in her sudden power over her rival Lexi. As Bethany learns to cope with her new status as president of a secret mystery club, she begins to look beyond her personal problems to reach out and try to understand what makes her friends and family tick. In doing so, she takes her first steps toward maturity while bringing a new member, Timmy, into the club to help with their first case. Kakade tackles themes of peer pressure, alienation and bigotry toward different races and ethnic groups by interweaving teens from different backgrounds united in the common goal of solving a mystery. As the teens learn each other’s strengths and weaknesses, they learn to accept each other for whom they really are, not who they pretend to be. Younger teens graduating from Nancy Drew and the Hardy Boys will find a smooth transition to more adult mysteries here.